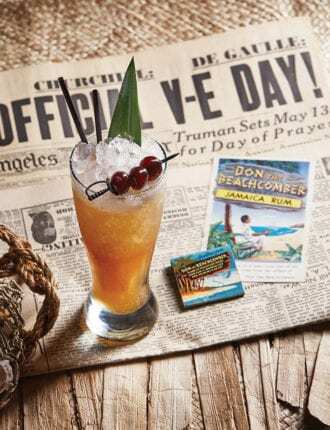 This tiki classic was created during WWII by the godfather of the genre himself, Donn Beach. The name means “victory” in Morse Code. San Francisco’s modern tiki mecca Smuggler’s Cove adapted this version from Beachbum Berry’s Sippin’ Safari. Reprinted with permission from Smuggler’s Cove: Exotic Cocktails, Rum, and the Cult of Tiki by Martin Cate and Rebecca Cate, copyright 2016. Published by Ten Speed Press. In 1941, a Hollywood bar owner met with a liquor distributor on the Sunset Strip and mixed the first Moscow Mule as a marketing tool to sell more vodka.